This infographic identifies 1,859 grants totaling $222.7 million in support of efforts related to voter education, registration, turnout, and access. 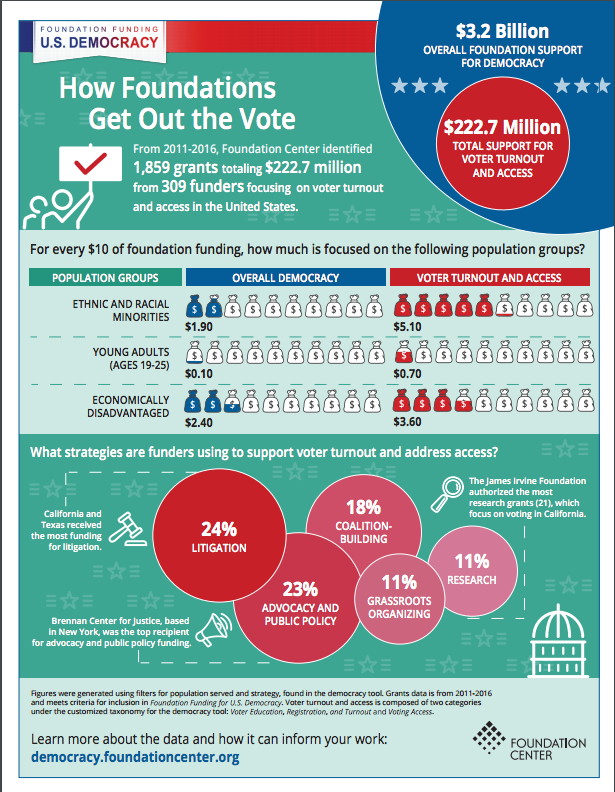 Recognizing that demographic disparities exist for voter turnout, the infographic highlights the amount of funding for these efforts that focus on specific underrepresented population groups. Consistent with recent judicial focus on the 1965 Voting Rights Act, as well as state voter ID laws, a breakdown by strategy reveals that a substantial proportion (24%) of funding for voting supports litigation.